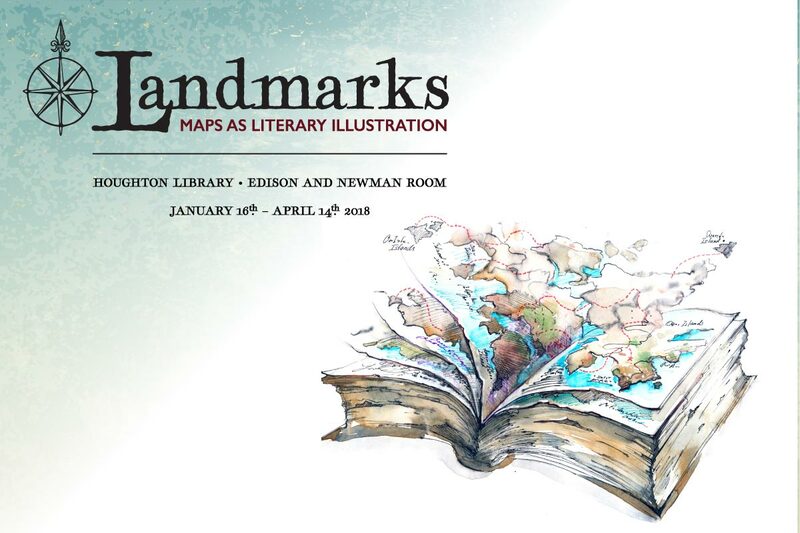 Fri., Jan. 19, 2018, 9 a.m. – 5 p.m.
Maps enjoy a long tradition as a mode of literary illustration, orienting readers to worlds real and imagined. Presented in conjunction with the bicentenary of the Harvard Map Collection, this exhibition brings together over 60 landmark literary maps, from the 200-mile-wide island in Thomas More’s Utopia to the supercontinent called the Stillness in N. K. Jemisin’s ‘The Fifth Season’. Visitors will traverse literary geographies from William Faulkner’s Yoknapatawpha County to Nuruddin Farah’s besieged Somalia; or perhaps escape the world’s bothers in Pooh’s Hundred Acre Wood. At this intersection of literature and cartography, get your bearings and let these maps guide your way. “Landmarks” is on view Jan. 16 through April 214, 2018. Exhibitions at Houghton Library are free and open to the public during opening hours: Monday, Friday and Saturday 9 a.m. – 5 p.m.; and Tuesday through Thursday 9 a.m. – 7 p.m.